Sneakers have been a major fashion statement since the beginning of hoops. Back in the day they wore the old Chuck Taylors. In my opinion they were really ugly and had little support, but they were state of the art of the time. Actually, Chucks have come back in a big way. Still not the most stable shoe but great for that retro fashion. Later, player names started to creep in to the shoe game. Magic Johnson and Larry Bird were the big names and Converse made a point to capitalize on it. Again, state of the art for the early ’80’s but attaching player names made a difference. Then everything changed with when Michael Jeffery Jordan entered the league. When Nike came out with his shoe, we had never seen anything like it. It was because of the greatness of a young “Air” Jordan and the attention to detail from a athletic juggernaut. The game has never been the same. I bought some Jordan’s for all three of my kids when school started. Amazing. Since then it seems like every athlete has a shoe. Basketball players (male and female), baseball studs, wide receivers in football and more. I have no issue with it because these athletes work really hard and are great at their craft, but it has somewhat diluted the shoe game. What is nice is that shoe companies are smart. They use their research and their athletes to continue to innovate. Using different color combinations, new shoe tech and great design all with purpose. 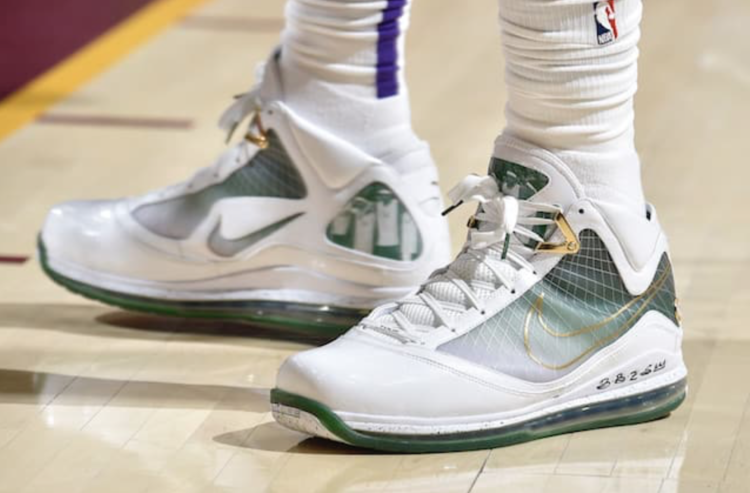 So, with all this said check out this article about the best kicks of the NBA’s week 6. It’s a pretty dope article.